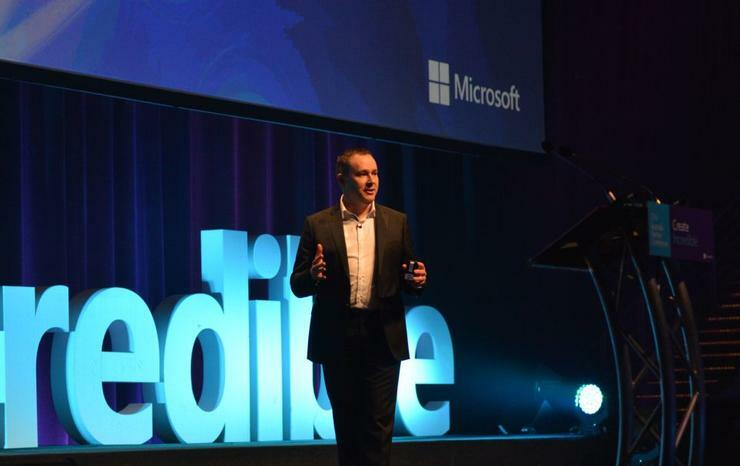 Microsoft’s Director, Partner Business & Development, Phil Goldie, says that partners will need to adapt to suit, building their own apps and service offerings within the Cloud. Microsoft’s Director, Partner Business & Development, Phil Goldie. The key focus for Microsoft’s new Cloud Service Provider (CSP) program is driving profitability for all parties involved. “We’re being very deliberate in looking at how our new programs tie back to profitability for partners, no just in the incentives sense, but in terms of how we can shift the market forward,” he said. The new program essentially allows customers to build their own IP on top of Microsoft’s Azure stack, and they also own the direct monthly billing relationship with their customers. He says the problem with products such as Office 365 for partners is that once its deployed, its taken out of their hands – customers then have a direct line to Microsoft in terms of features. It’s a single deployment opportunity. Goldie wants to see the platform develop as a Cloud eco-system, similar to an app store, that will allow partners to build their own features and apps in the stack. Microsoft’s new FastTrack deployment program, which has received a lot of publicity over the past few months, essentially means that the company is utilising hundreds of engineers to reach out to potential 365 customers to help them with the onboarding steps. There has been some pushback from partners that have seen a source of revenue go dry, especially when they’ve been part of Office 365’s success to this point. “The fundamental reaction has been concern, of course. Ive taken a few calls about it. Help me understand what this means. Most of these discussions take 9-10 minutes,” he said. “Yes, that’s been a great opportunity for partners over the past three years, and something we really needed then. But that’s now moving towards the wrong side of the customer value equation. Customers just want to get to the service quickly. The more cost effective, in this case, free, we can make that, the faster we can deliver it. Then we will deliver funding back to partners to deploy the other services – which is where the real value is to customers. The risk then for partners is, what if they design an app, a new feature, or a new product that Microsoft subsequently adds to 365? “The answer is you’re going to have to place multiple bets. What we will continue to do - because that’s what these platforms are designed to do – is operate with massively efficient scale,” he said. “So we will add what we believe to be fundamentals, core to the product, that deliver that massive efficiency and massive scale. Part of the problem with any new platform is training and certification, and Goldie said that the interest this year has already superceded last year. “Between now and Christmas we have 104 face to face training sessions, both technical and pre-sales for the Channel. That’s significantly more than we had at the end of last year, and we’re going to ramp that up,” he said. Goldie said that a number of Microsoft’s key partners, especially those that had invested wisely in training up for Azure over the past three years were being rewarded with access to the Azure Private Preview. As MD Pip Marlow announced during her keynote, Azure will be launching in Australia before Christmas. So while the depth of expertise of these companies has been rewarded, how does Goldie feel the general partners have been in terms of getting upskilled for the launch? “We have amazing partners, brilliant partners. But the technical competency – as a vendor - do you ever reach the level of pure technical competency you want? No. You’re constantly chasing it. That’s why we invest a lot of money in training and delivering it,” he said. “The dynamic there with Azure is the rate of new features being introduced is just breathtaking. Its literally weekly, monthly cycles of release, bringing in not just fixes, but fundamental new features.